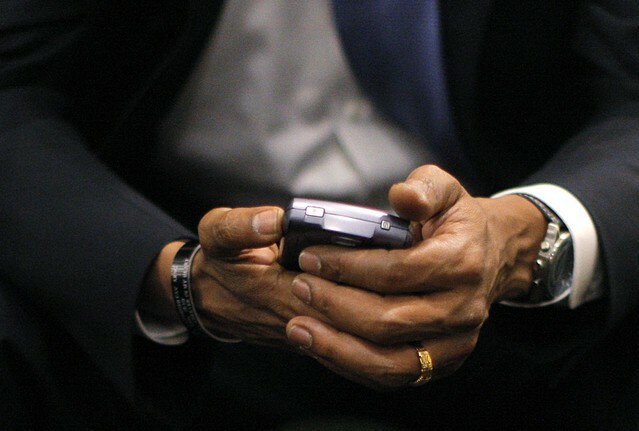 Is RIM's relationship with the U.S. government really as strong as the company says? Probably not. 2012 hasn’t been shaping up to be a good year for RIM. The company has already lost some major enterprise customers, developers have publicly announced they’re shuttering BlackBerry support, and the new iPad sales beat the total number of BlackBerry PlayBook shipments three times over in one weekend. The latest bout of RIM denying its situation involve comments by executives on the state of the BlackBerry in government. The U.S. government has traditionally been a very strong BlackBerry customer with most federal agencies opting for the BlackBerry because of the security that RIM’s BlackBerry Enterprise Server can provide. RIM claims that it has increased its foothold in Washington – despite multiple agencies announcing and beginning plans to replace RIM technology with iPhones and iPads. RIM’s senior vice president of BlackBerry Security Scott Totzke painted a rosy picture of RIM’s relationship with government for Bloomberg yesterday. If you actually look at his phrasing, however, this picture is more spin than anything. Compared to the enterprise over the last year and a half or so, the federal business on whole is up. Given RIM’s downward spiral in business over the past year or two, I don’t doubt that its business with the government is looking up. But that doesn’t mean that RIM has a secure toehold. As All Things D pointed out, RIM’s relationship with the U.S. government has been secure because other smartphone and mobile platform have’t achieved certain government technology certifications that RIM has for its BlackBerry devices. With Apple and Android developers applying for those certifications (and some Android handsets receiving them), the future looks much more cloudy. That’s particularly true if you note that overall functionality is a reason The Bureau of Alcohol, Tobacco, and Firearms decided to move to iPhones and iPads – or if you consider that RIM’s forthcoming BlackBerry 10 devices probably won’t reach the market with those certifications in hand.